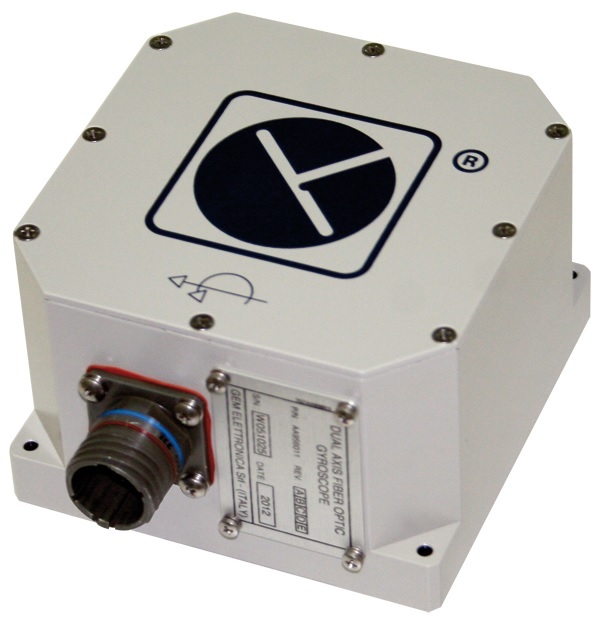 The FGU-200 is a rugged, reliable and very compact dual axis gyro system realized with state-of-the-art closed loop Fiber Optic Gyroscopes (FOG) that provides exceptional stabilization and tracking capacities. Thanks to an accurate manufacturing process and the use of digital closed loop control, GEM FGU-200 gyros provide superior performance with very low noise, high accuracy and stability, high resolution, wide measure range and bandwidth, low latency. FGU-200 is a “solid state sensor” containing no moving parts, it has mechanical enhancements to work in extreme environmental conditions, it can resists to the effects of dust, water and electromagnetic interference and it can also withstand the shocks and vibrations of military vehicles. FGU-200 is virtually free of maintenance and calibration and has an MTBF of more than 50,000 hours.